A partnership with a university in China is allowing Cornell to make connections across the globe and take bigger steps into the international education scene. 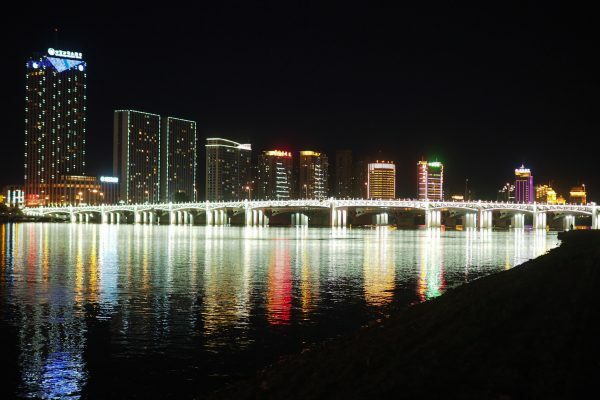 The Chinese Ministry of Education has approved a program between Cornell College and Beihua University in Jilin City, China, and both institutions have signed formal agreements. “Like a lot of industries in this country, we have to look internationally as we move into a more global economy,” Dean of Cornell College Joe Dieker said. The program lays out an agreement in which Beihua University will provide funding for Cornell professors to travel and live in China and teach a portion of a course over a two-week period. Cornell will be providing instruction in the areas of computer science, mathematics, and physics. Beihua University is located in northeast China in a city with a population of 4.4 million people. Professors Leon Tabak and Tony deLaubenfels were the first professors to travel to China in May of 2018. Kara Beauchamp, professor of physics and associate dean of the Beihua University Partnership, visited during Block 2 of the 2018-19 school year to work with her counterparts at Beihua University on course scheduling and logistics of the new program. deLaubenfels taught Linear Algebra to a group of about 60 students twice a day and Tabak taught a course on algorithms and data structures. 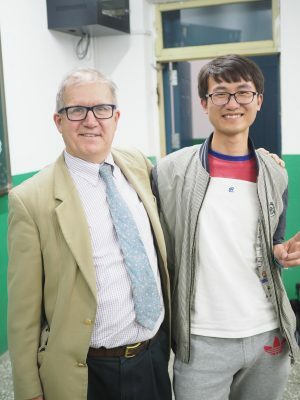 Professor Leon Tabak poses for a picture with a Beihua student. The program specifically focuses on students studying communication engineering, which is a combination of physics, computer science, and engineering. Tabak’s wife, Christine Tabak, also went on the trip to China in the spring. 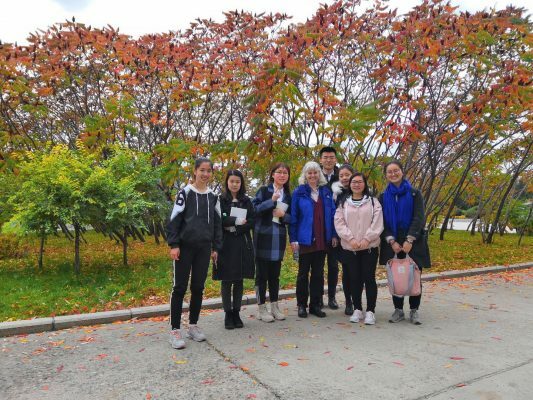 The group enjoyed every minute of time they spent with their hosts learning about the culture, language, and education scene in Jilin City. After two weeks of spending time with Cornell teachers and visitors comes to an end, it might not be the end of the relationship with the Chinese students. This new agreement allows Beihua students to easily transfer to Cornell. In fact, three Beihua students are attending Cornell this year. Dieker said both institutions benefit from the program. 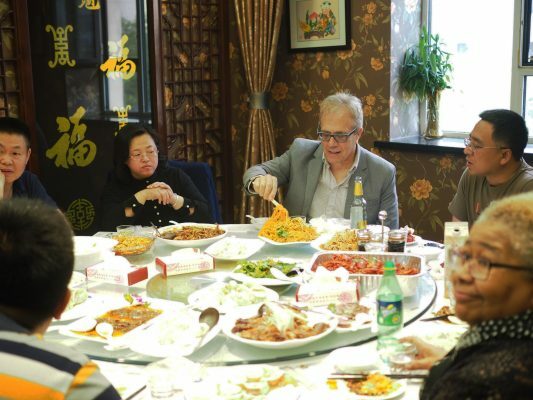 Professor Tony deLaubenfels shares a meal with hosts in China. The program is only in its infancy, and Dieker will be the first to say there’s a lot to learn as the program unfolds. He’s also the first to say that it holds great promise for Cornell. The dean expects to engage other regional professors and engineers interested in the program to travel to China and teach on Cornell’s behalf throughout the program. Six more Cornell representatives will be making the trip this year, including two instructors this fall and four Cornell professors in the spring. Dieker says this partnership is one more way Cornell is expanding its global connections and understanding to the Hilltop. International experiences are something Cornell prioritizes for its students, especially with the One Course At A Time Curriculum. Sixty-three percent of the Class of 2018 studied off-campus for a block or longer and 76 courses led by Cornell professors have been offered off-campus over the past four years.